Double Wood Ring Clock adds an essence of beauty and charm to your home decor. 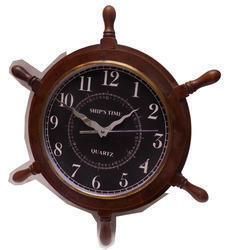 We produce nautical antique wall clocks with high quality raw materials. 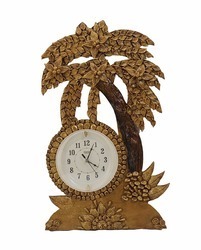 This lively handmade and handpainted clock is unique piece of art as well as a utility items. This handpainted wooden time piece is a must for every home as this eco-friendly wall clock gives the feel of a nature in its most simple form. Home Decoration Designers may choose this to highlight a corner of the bedroom and make it attractive.